From the earliest days of the Christian faith, Christians have struggled with the question of how the newness of Christ relates to the Old Testament. In fact, it is almost accepted as a truism today among most Christians that the God of the Old Testament is mad, angry, and vengeful, but the God of the New Testament is forgiving and gracious. And yet, Christianity is the fulfillment of OT promises and expectations. Should we leave behind the Old Testament? Should we only be “New Testament Christians”? In our 2019 Houston Theological Seminary Theology Conference, we address these very questions and explore the relevance of the Old Testament for Christian faith and practice. Our keynote speaker, Dr. Daniel Block, will address this under the rubric “All Scripture is My Scripture: Rehitching the First Testament to Christian Faith.” In addition, we will have a variety of other speakers from HBU and Second Baptist Church, representing academic and pastoral perspectives. Every year North Park Theological Seminary hosts a Symposium on Theological Interpretation of Scripture. 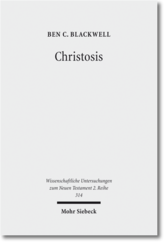 In 2017 that symposium was on the topic of Participation in and with Christ, and the presentations were printed (as with each symposium) in Ex Auditu (vol 33). It was a great conference with voices from a variety of perspectives–biblical, historical, and contemporary. 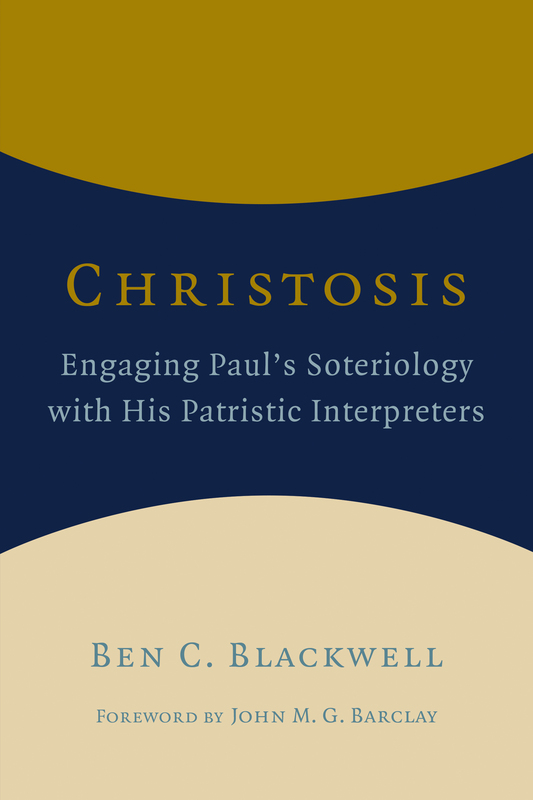 My piece extends some of my work on Paul and theosis by means of a conversation with Irenaeus (with my book Christosis) to include here a wider perspectives on the story of the Bible as a whole, particularly with a focus on glory as a biblical theme. Here is a list of all the essays. I recently posted the call for papers for the NABPR national meeting, so I thought I would note that my esteemed colleague Tim Brookins is organizing the Southwest regional NABPR meeting that meets in conjunction with the Southwest Regional Conference on Religious Studies (SWCRS)–March 9-10, 2018. This year the NABPR Southwest conference will be focusing on “Christianity and Culture”. Papers will address the relationship between Christianity and culture at a philosophical level (the nature of cultural “translation,” the implications of the “embeddedness” of Christianity within culture, etc.) 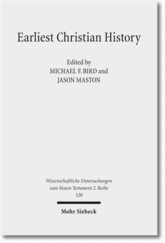 and/or a practical level (examining particular interactions between Christians and the surrounding culture in different places and at different times across Christian history). Put it on your calendar. I know it will be a good event! P.S. As a reminder, SWCRS proposals are due October 15. If you are able to be in Dallas, TX next March, you should consider attending the annual SWCRS meeting. It meets on March 11-12 near DFW airport. SWCRS consists of several professional societies, including SBL and AAR. It is a good size meeting, but not overwhelming. If you have never attended a professional meeting, this would be a good one to start with. You can find information about the call for papers at the SWCRS page. 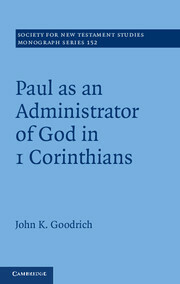 I (Jason) chair the New Testament section for SBL, and I’m always looking for good papers. I’m happy to consider papers from faculty and PhD candidates. If you have never presented, this is a good place to do it. I (Ben) have been busily finishing out my SBL paper over the past few weeks: “Luther and Galatians: Justification as Participation in the Life of God.” I’m working from the Luther’s Works (LW) translation, but I, of course, needed to engage the critical edition of Luther’s Lectures on Galatians. However, being partially ignorant of Luther scholarship, I couldn’t remember how accessible the Weimarer Ausgabe (WA) of Luther’s Works, the critical edition of the original Latin and German, would be. My initial search kept coming up with older english translations, until I hit on Jim West’s very helpful series of posts with links to Reformation era primary resources (check down the right hand side to find a full list of “Reformation Texts“). 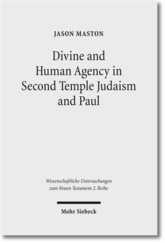 I won’t repeat the Luther material here, but basically all the WA critical editions are old enough to be open source, so check out West’s Luther’s Works – Weimar (sic) Ausgabe. It lists all the volumes twice: first, with the open source web links; and second, a list of each volume’s main contents. As we’re getting closer to SBL, I (Ben) know people are making plans for sessions to attend, so let me offer an option. As a part of my larger work on Paul to highlight how he brings together the topics of justification, life, and the Spirit, I’ve been working on tracing where the Reformation tradition separated them, so I’m presenting a paper on Luther and theosis. I know I’m an interloper on Luther, so I’m welcoming the opportunity to get some feedback. Do come join us. This is the first of a four-year series on Christian theologians and their interpretation of the Bible. This session examines Martin Luther and his theological interpretation of a specific text or set of texts in the Old and New Testaments. The session is interested not only in Luther as a historical theologian but also for his role in constructive Christian theology today.